Kanye West carries his daughter, North, while preparing for a presentation of his Fall/Winter 2015 partnership with Adidas at New York Fashion Week on Feb. 12, 2015. Kanye West closes his latest album Ye with a song written for his daughter, North West, who is four years old. Incongruously titled Violent Crimes, it is a strange gift for a child. Released earlier this month, the song reveals West’s palpable anxiety about his daughter growing up “in a hurry.” It is a fear most parents harbour, hoping to keep their children safe and innocent for as long as possible. But West takes parental angst to another level. Violent Crimes serves as Exhibit A for misguided ideas that linger around fatherhood and daughters. The artist seems terrified of his child’s puberty, a decade before it’s set to arrive. He frets about the “curves under your dress,” suggesting his daughter shield herself against male attention by covering up and sticking to combative karate, not body-toning pilates. “I pray your body’s draped more like mine and not like your mommy’s,” West raps, referring to his hypersexualized wife, Kim Kardashian. If a man is known by the company he keeps, then look no further than West’s friendship with U.S. President Donald Trump, who provokes a collective gag reflex when he speaks about his daughter Ivanka, whether he’s complimenting her figure or musing about dating her, if only he wasn’t Dad. Trump’s parenting style is on a whole other plane of disturbing. With dads like West, paternalistic attitudes mean some fathers still see themselves as the gatekeepers of their daughters’ sexual lives. It’s unhealthy masculinity bleeding into fatherhood, said Ian DeGeer, a researcher involved in a 2014 White Ribbon study called Give Love, Get Love: Involved Fathers and Gender Equity. “There’s a lot of socialization that men should fear other men. We know about the locker-room talk, about what happens when guys get together. For some dads, what happens is they think, ‘No guy is ever going to be good enough.’ They revert to the tough-guy stand: ‘If you want to try it, I’m the top dog,’” said DeGeer, who has twin seven-year-old daughters. It’s a sentiment that’s as insulting to women as it is to men. There’s vast narcissism involved, too. It’s not just any baby girl who convinces West that women are people, too, but specifically the daughter he’s conceived. West’s lyrics call to mind a phrase often used to summon compassion for victims of sexual violence: “Imagine if it was your daughter, your sister, your mother.” It’s a well-meaning but irksome expression that implies men can’t stir up empathy for women who are harmed unless they’re biologically related to them. After #MeToo, it’s clear the daddy-daughter relationship needs some work. Leading the charge is actor William H. Macy, who described his evolving thinking about his daughters Sophia, 17, and Georgia, 16, and their dating lives last month. 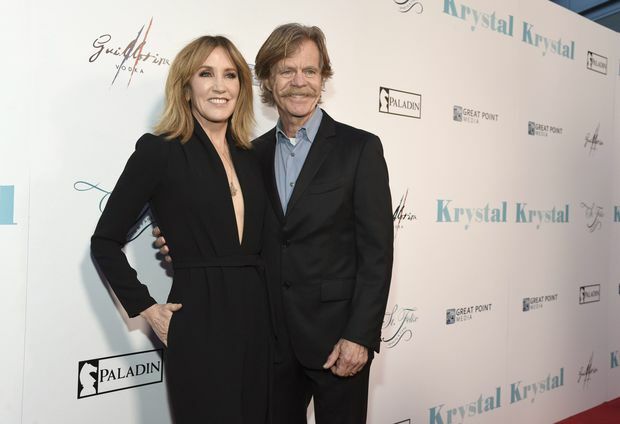 Felicity Huffman, left, and William H. Macy arrive at the Los Angeles premiere of "Krystal" at ArcLight Hollywood. “You know, I started doing all the clichés, ‘I’m gonna threaten the guys, I’m gonna dig a moat around our house,’” Macy told Us Weekly. While some observers were put off by Macy’s use of the word “lusty” in proximity to his teenage daughters, others knighted Macy “woke dad.” His was a radical statement, something we’ve not really heard before. Brian Russell, a Toronto father with three daughters ages 18 to 21, says real-world dads should engage their daughters between the two extremes voiced by Macy and West. “If dads come across as, ‘Here’s the line. Don’t cross it, or else,’ they’re going to lose their daughter. If they don’t have conversations, or some level of expectation around how to make good choices, they’re also going to lose their daughter,” said Russell, a marriage and family therapist and the Ontario provincial co-ordinator for Dad Central, an organization that promotes involved fatherhood. Instead of being petrified by their daughters’ inevitable dating years, instead of mortifying them with talk of roughing up guys who show up at the front door, fathers such as West should invest more energy into the everyday of their daughters’ lives. When it’s time, the conversation ought to focus on what good relationships look like, not ridiculous karate chops and modest robes. 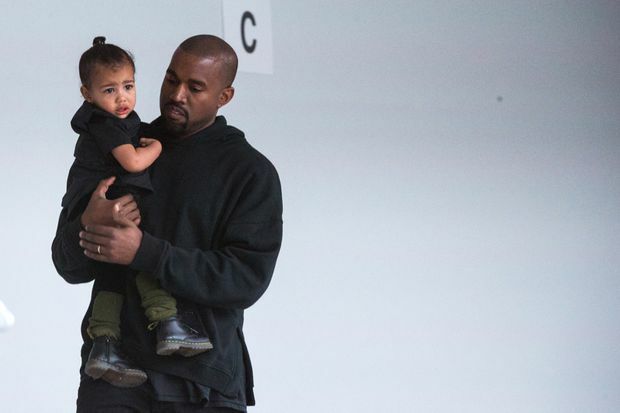 Beyond daughters, perhaps West should also devote an aspirational song to Saint West, his son. Why do we expect so little of fathers?